In just a few years #RootsTech has quickly grown to be the “beast” of genealogy conferences serving clientele around the world both live in Salt Lake City and through streaming to the remote corners of the earth. With its mix of genealogy and technology, it was only a matter of time before it attracted the attention of the 6 visually challenged genealogists from mythical Indostan. Having inherited their ancestors’ lust for learning as well as poor eye sight, these present day citizens of Indostan decided to make the trek to Salt Lake City to experience #RootsTech first hand. As soon they arrived each began to tweet and blog to their colleagues back in Indostan. Those colleagues began to wonder if the six were reporting from the same event. Although all were reporting back with the label #RootsTech 2019 there seemed to be little commonality in the events that were being reported. The second wrote lengthy posts each day about the inspiration he received from the world class keynote celebrity speakers. He also reported on the large events that marked the opening and closing of the conference. He also managed to get into the rehearsal of the world renowned Choir at Temple Square which made him envied by many of his readers back in Indostan. The third reported on the useful information he was learning in classes and the difficulty of selecting which among the three hundred plus offerings available on a rich smorgasbord of all imaginable genealogical topics would be the most useful for him to learn about to enrich his research and share with those back in Indostan. The fourth spent the entire week in the Exhibit Hall chatting with several hundred vendors from around the world who offered goods and services to genealogists. He was able to have hands-on opportunities with many of the products. Many of the larger vendors even offered mini-classes in the form of demonstrations on a daily schedule right in their booths. And oh the swag that was being offered to take back home—some just to be picked up and some more valuable that was awarded in periodic drawings. The fifth had planned ahead so he was able to be able to sign up for coveted seats in the workshops in computer labs where he could practice hands on use of the products and tools that were being described in these sessions. The sixth was eager to learn everything he could about incorporating DNA into his research so he arranged his schedule in a different way. 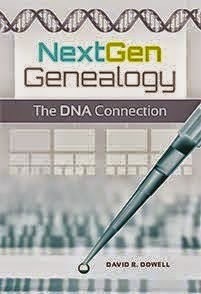 He attended every class he could squeeze in from the DNA track; visited the booths of all the vendors large and small that offered DNA testing and interpretation and discussed his progress, roadblocks and research goals with their staff. He quizzed them about product enhancements on the horizon. As the six reassembled at the airport to fly home, a dispute broke out about the true nature of #RootsTech and about whom among them and benefited the most. Come to #RootsTech 2019 and write the learning plan that is best for you. [i] Illustrator unknown, “Blind men and an elephant”, From Charles Maurice Stebbins & Mary H. Coolidge, Golden Treasury Readers: Primer, American Book Co. (New York), p. 89. 1909. [ii] John Godfrey Saxe, “The Blind Men and the Elephant.” http://www.constitution.org/col/blind_men.htm, viewed 1/14/2013.